This month’s theme combines all the design trends of 2017! Modern typography together with a minimalistic and classical style perfectly underline the concept of beauty. 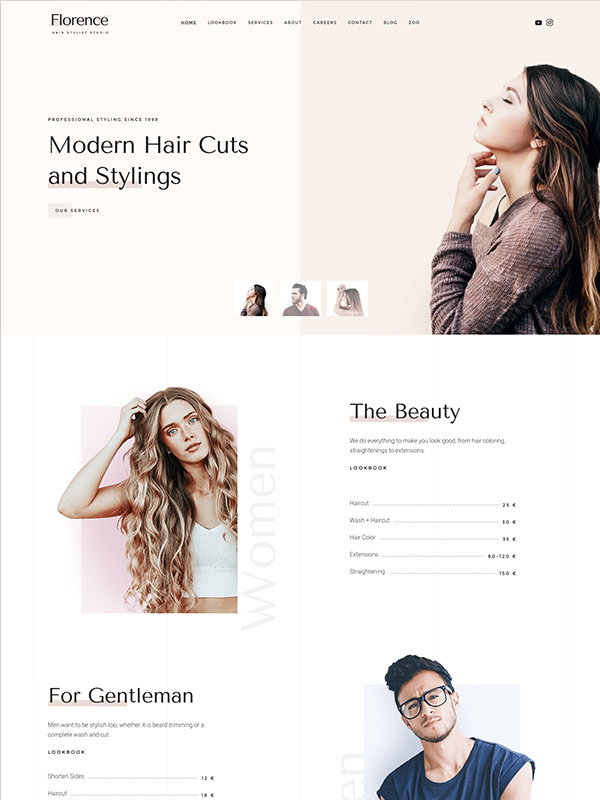 Interactive elements such as the new button styling, smooth animations together with the modified heading-line style for the heading make it a perfect choice for hair stylists, beauty salons and other related businesses. 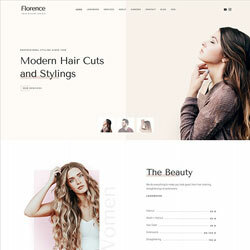 Apart from that, Florence also integrates the Newsletter, the Popover and the Gallery elements with a subtle parallax effect to present the services in all their glory.